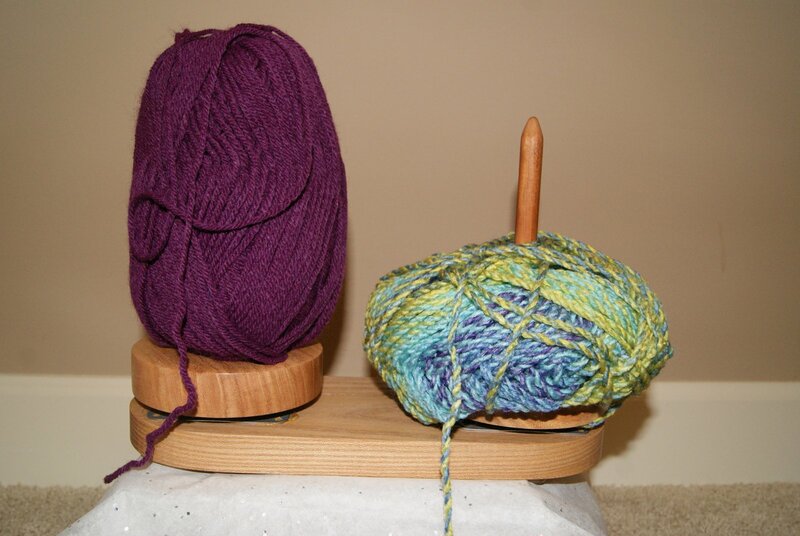 I have still been knitting on my “cattail” using my handmade knitting nancy spool. It is a very easy, relaxing type of yarn craft that I will pick up for those times when I don’t want to have to concentrate to hard on a project or count stitches as I crochet. You can check out my Knitting Nancy blog to see exactly how to make a spool and how to start your yarn to begin forming your tail! As you can see by the picture, my “tail” is quite long, presently measuring 131 inches or a little over 3 1/2 yards long. 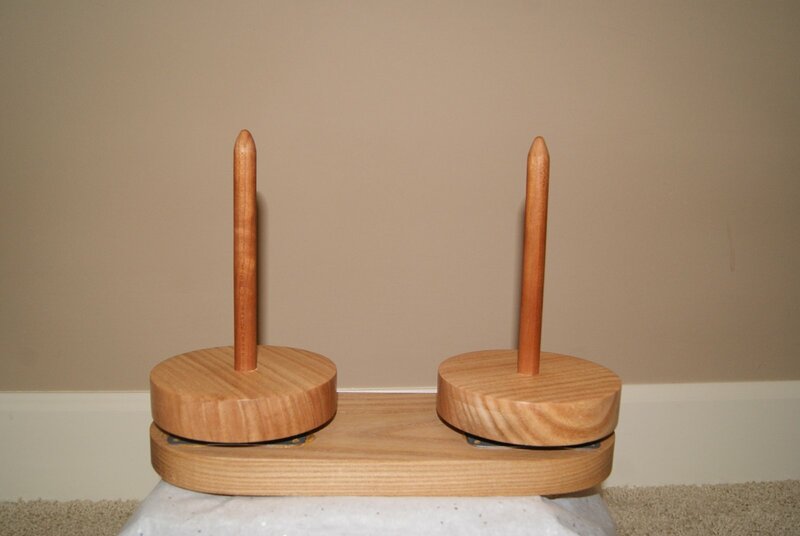 My goal is to roll my tail into a circle to make a nice trivet or mat for a hot bowl to protect the dining table top. At present, it measures almost 8 inches in diameter and I think I will make it just a little wider but probably not more than 10 inches. Of course, this will leave me with just enough yarn to make a small pom pom!! Yarn scraps?? hmm – working on some ways to use them up because I just cannot bear to trash them or maybe I will find a local 4H group and donate all my tiny yarn balls to them. Like that idea!! Anyways I digress, my trivet will be sewn together with a nice quilting weight cotton thread. Connecting Threads has some great collections of these threads in a wide variety of colors too, which are wonderful for machine or hand sewing projects. 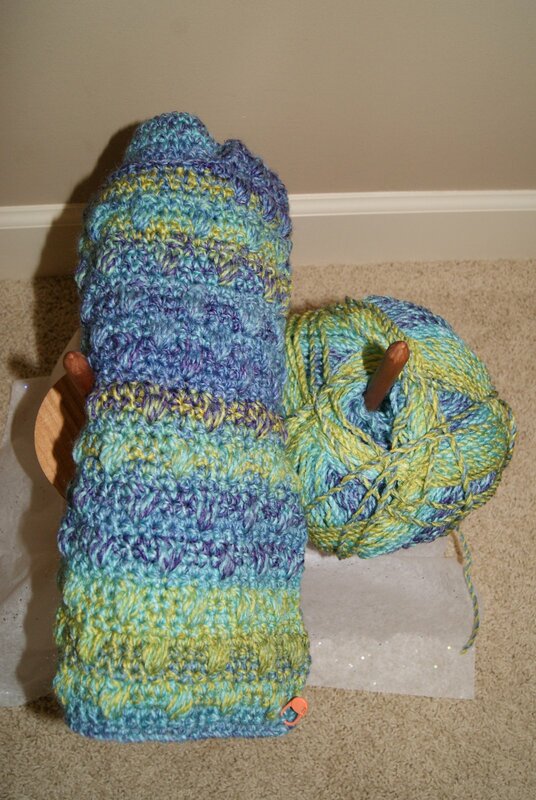 I think I started a new skein of yarn for this project, a category 4 yarn, worsted weight. I just used a size 5 hook to lift my lower loop over the top loop to create the knit looking tail. When I am ready to bind off, I will do another blog with close up pictures so you can see the actual binding off process. 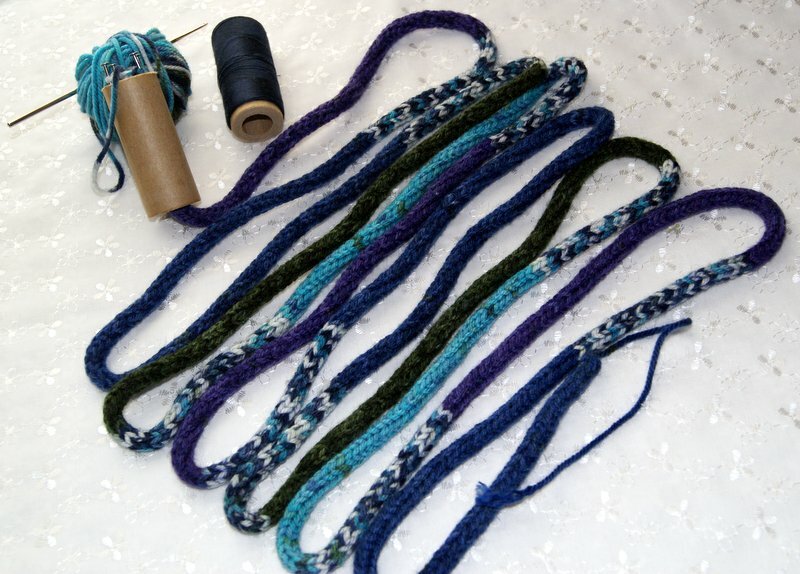 Some fun ideas to use your “tail” for would be a set of coasters, cool bookmarks, glue some googlie eyes and make a snake for a little one, make three tails and sew together at one end and braid them for a bracelet or headband, placemats even a small rug. I’m looking forward to completing this one and having it ready for my kitchen table!! It is always an exciting moment when I hang up the new calendar welcoming in the New Year!! For me, it is like a clean slate just begging to have something new written on it. 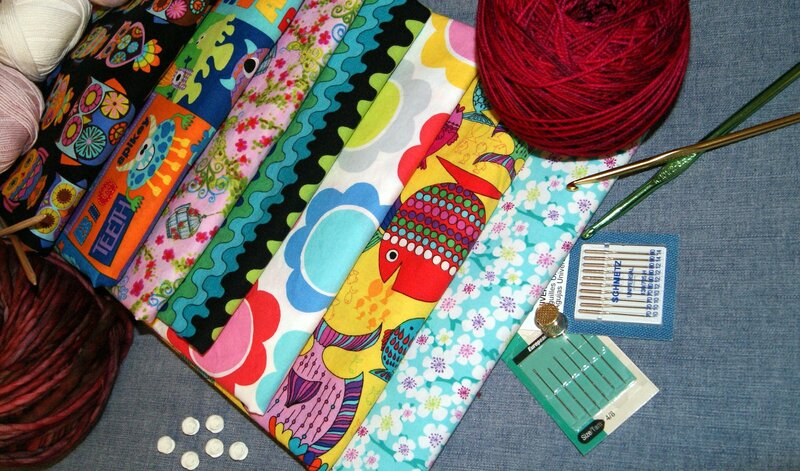 Already have some new fabrics and yarns just waiting to be designed into wonderful new projects!! Purchased a new raspberry blaze color of hand dyed, sock weight yarn by Dream, dreamincoloryarn.com, called “smooshy”. Now who just wouldn’t want a smooshy in their yarn stash. 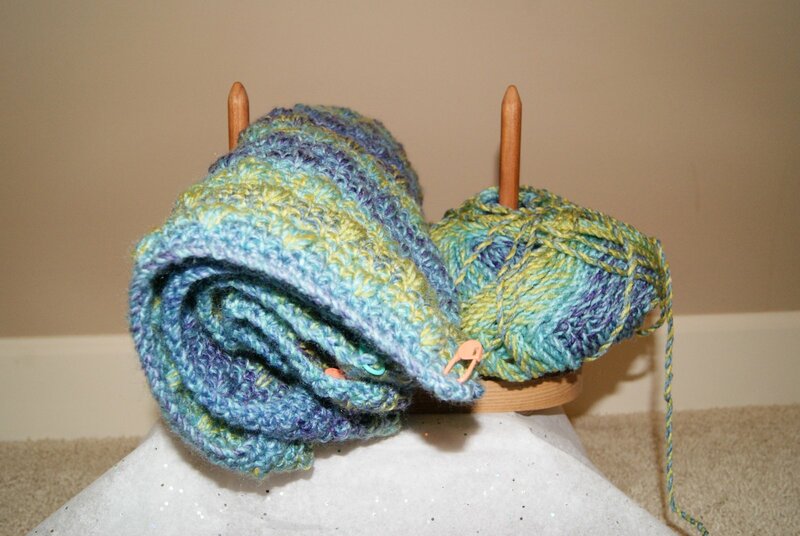 It is a merino wool, cashmere and nylon blend and very, very squishy soft. Haven’t decided what I am going to make with it just yet but I know whatever it is will be scrumptious. Also, picked up a Malabrigo yarn that will be perfect for a warm winter cowl. 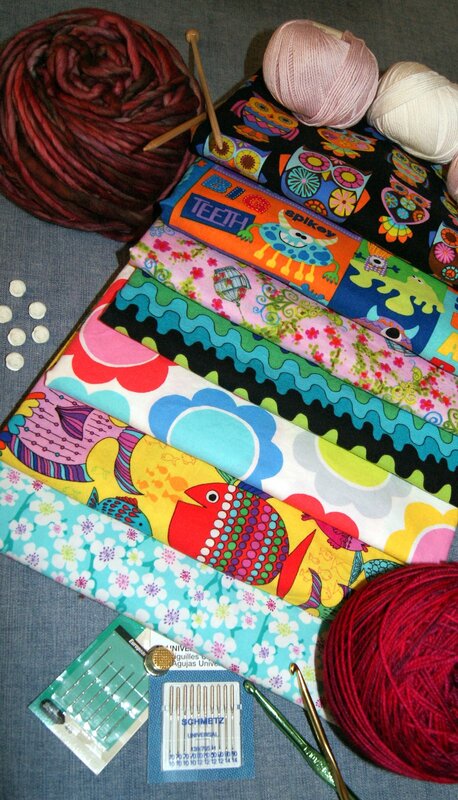 And, of course, several new cotton fabrics that will be made into totes and whatever else I might decide to sew. I hope your New Year starts off with some smooshy yarns and wonderful textiles just waiting to be designed into your something special item. I want to “Thank” everyone who has visited my blog and I look forward to this coming year with new ideas, discussions and designs. If you have something in particular that you want me to talk about, please let me know your questions, thoughts, and/or ideas. Always another way to stir up those creative juices and, hopefully, give insight to new and old techniques. HAPPY NEW YEAR and HAPPY CREATING!! Presently, my cat’s tail measures 76 inches or 193.04 cm and it is stirring all kinds of ideas as to what I want to create. 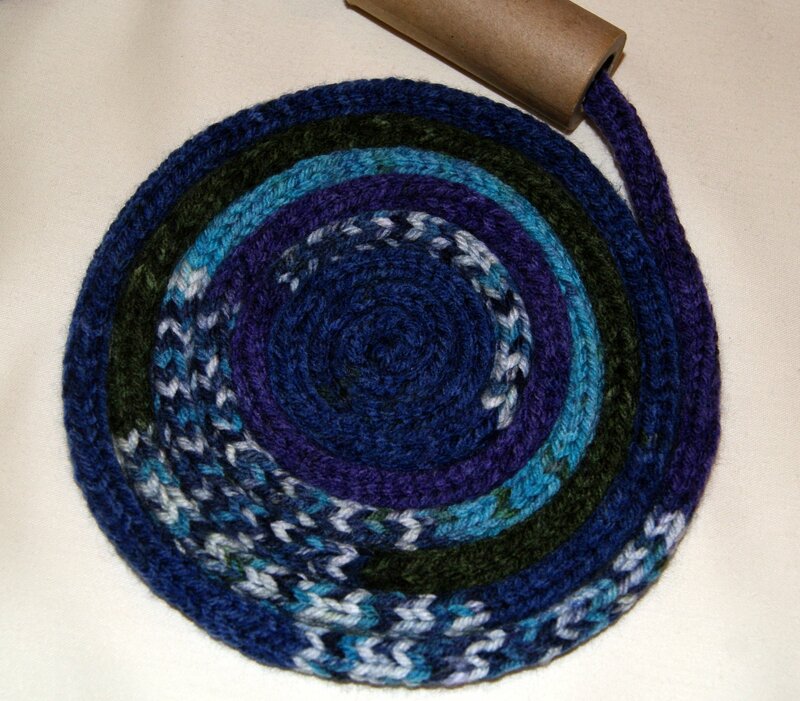 I can definitely curl itself around and make a super trivet to protect my table from a hot dish. 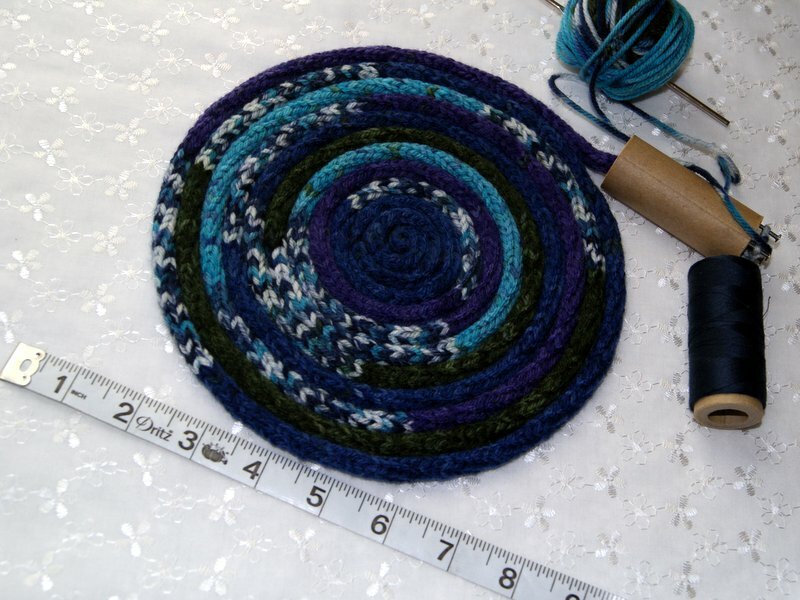 If I make the trivet, I could combine it with my hot pads and dish clothes for a cool, handmade hostess gift. Also, have given some thought to designing a unique wrapped necklace. 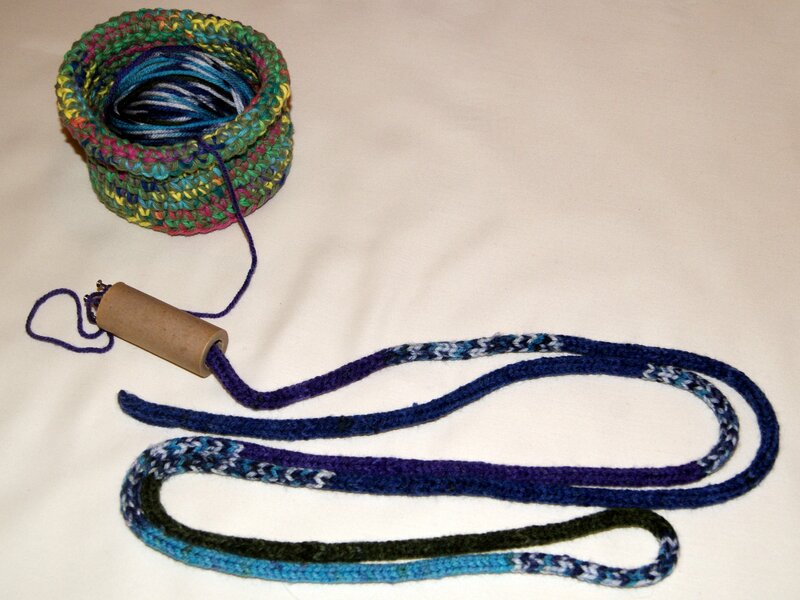 Leaving long loops and covering the joined area with a really one-of-a-kind tubular bead. Hmm, maybe I will just have to keep the necklace for myself if I end up making that idea!! 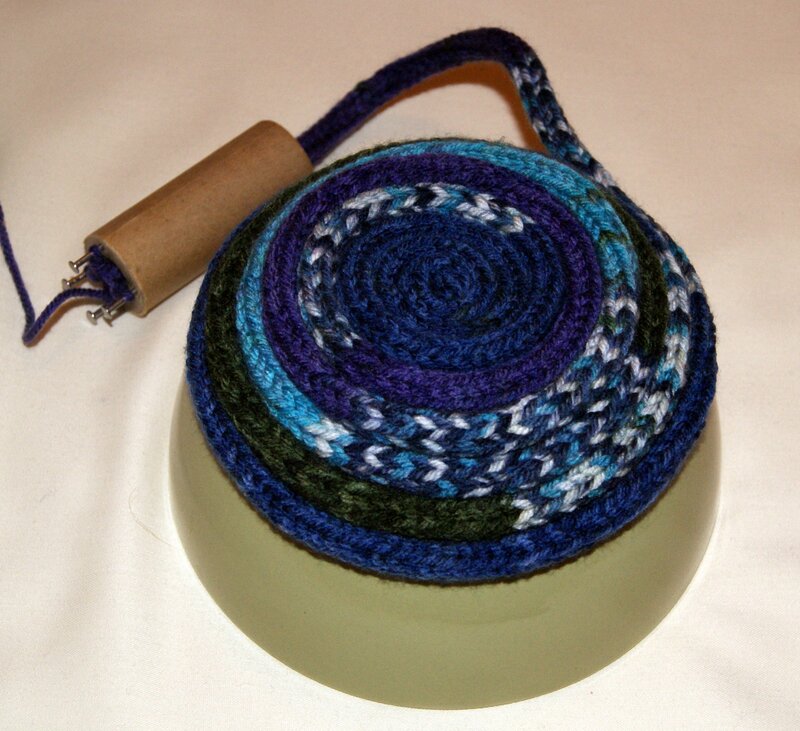 I’ve been into yarn bowls too and I think I could take a ceramic bowl and wrap the tail around the outside of it for a size pattern, stitch together, and then maybe create a unique loop edge as a finishing touch. 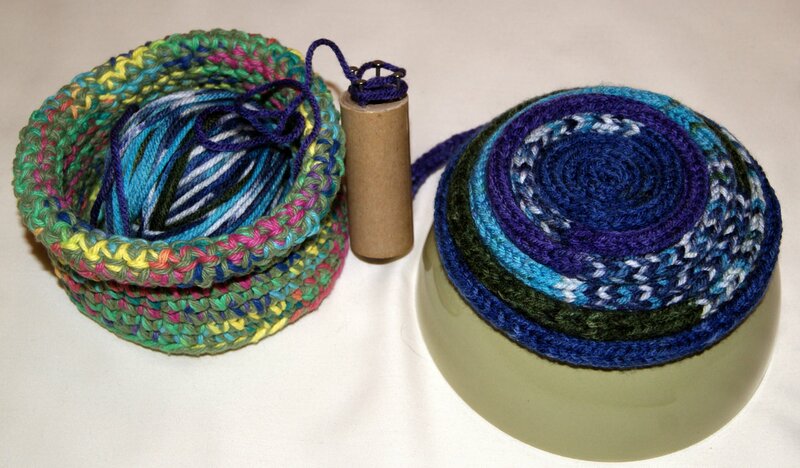 Tip: I will use a coordinating DMC floss (2-3 strands) as my sewing thread when I begin to stitch my cord together. Will probably have to do some pinning also to hold my coils in place. Anyways, it really, really doesn’t have to be such an ordeal no matter what process you use when it comes to changing your yarn colors. 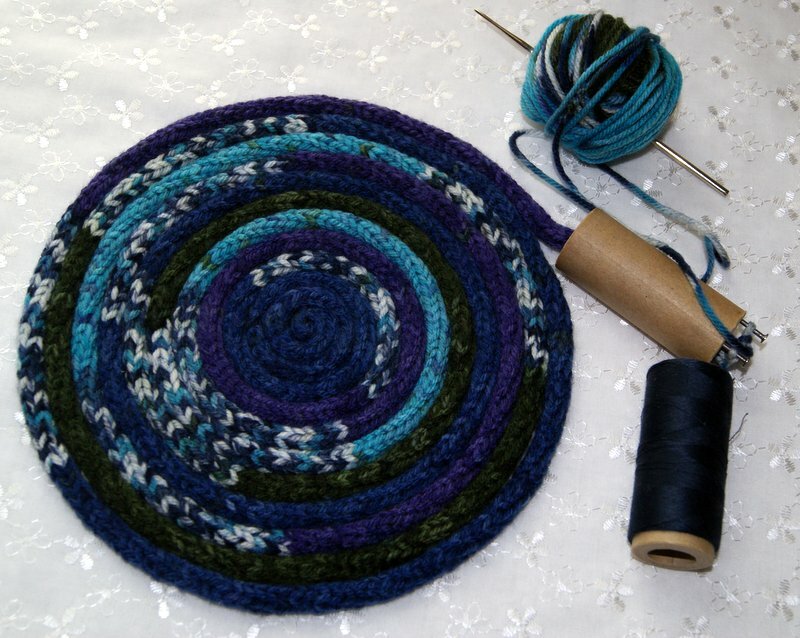 For me, this is the best way to change yarn colors and takes all those stressful thoughts and throws them away. All I simply do is when I come to the end of the row of where the new color is to be added, I fasten off. For me, it gives me the satisfaction of knowing that my crochet stitches will not come unraveled. Now turn your work to get ready for the next row and the new color. 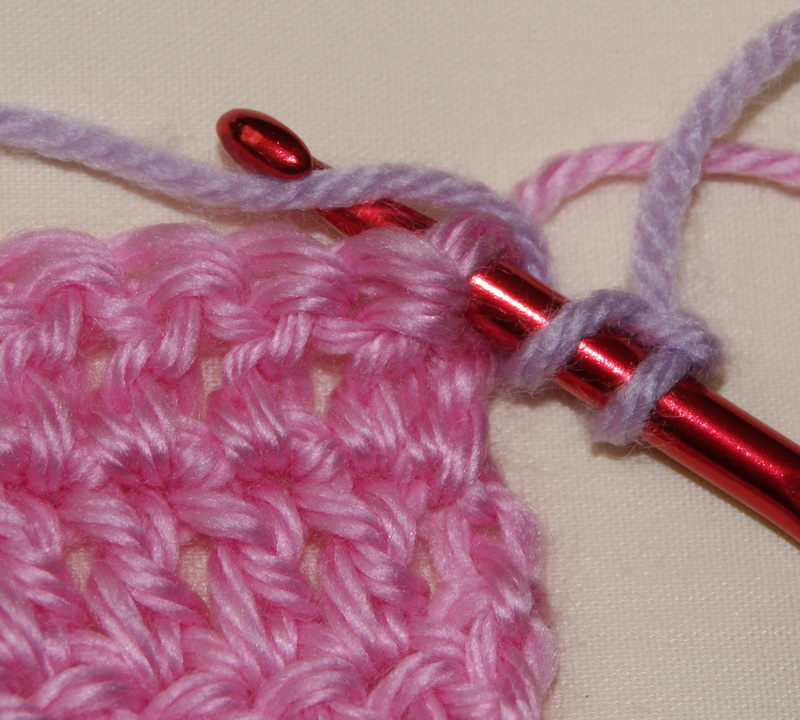 Make a slip knot onto your crochet hook using your new color, insert your hook into the first stitch of the next row and make a single crochet (sc) stitch and continue with your pattern. 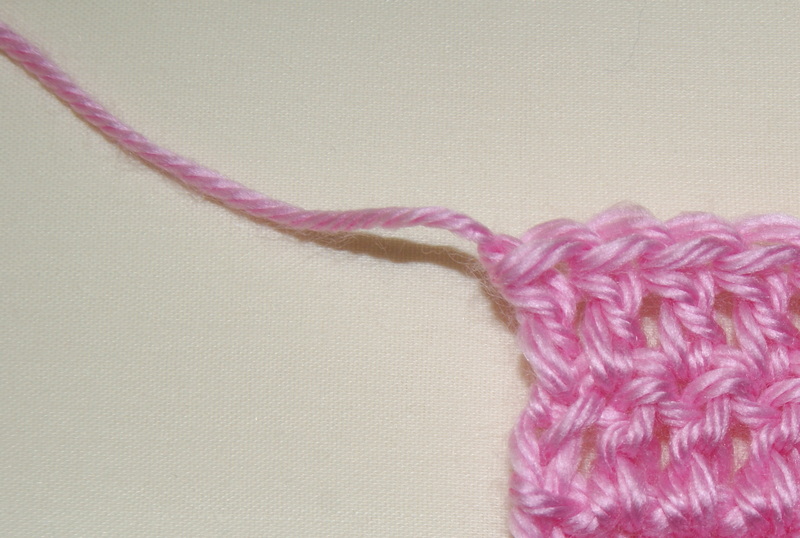 IMPORTANT NOTE: If you are working half double crochets (hdc), double crochets (dc) or treble crochets (tr), you must begin your new row adding the new color with one of these stitches to give you the correct height needed to continue your pattern. 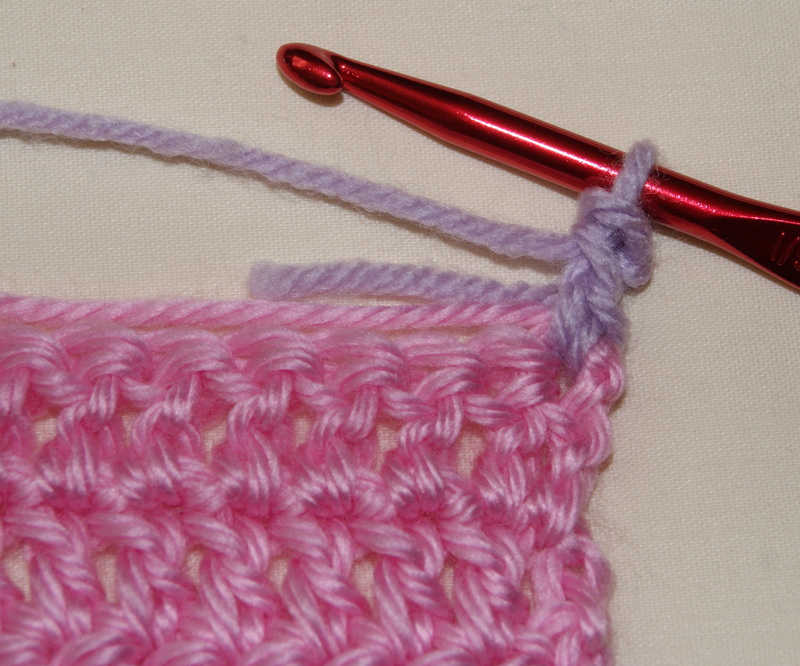 Therefore, you will make your slip knot onto your hook, yarn over once for (hdc) and (dc) and yarn over twice if continuing with a (tr) — now insert your hook into the first stitch of new row with the correct number of yarn overs and proceed to make your appropriate stitch according to your pattern. If making a stitch that requires you to add a yarn over loop to your hook when changing colors, keep your right index finger placed securely onto the yarn over loops to hold them close to the hook, now insert your hook into the first stitch, yarn over and when you begin to pull that loop through the stitch use your thumb and index fingers of your left hand to help securely hold the loops on your hook as you begin to pull your stitches through the required number of loops to make the designated stitch. Now you have a completed stitch and you can finish working your crochet piece according to your directions and resume holding your work as always. TIP: I like to take my yarn ends when possible and crochet them into my rows. I just lay the yarn ends along the top edge of the row I am currently working along and hold in place while I crochet the necessary stitches for my pattern. 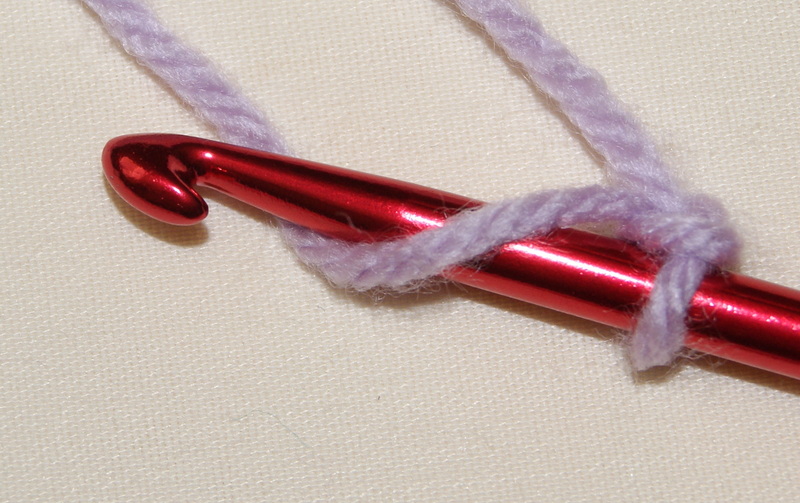 Trim away any yarn pieces that don’t get woven into the stitches. Time saving technique and you never see them in the finished work.